We see lots of animals each day, with complaints ranging from simple issues to more complex problems requiring surgery to fix. Dog breeds come in different sizes, but the toy and miniature breeds can sometimes share a common condition. Luxating patellae is a condition where the patella is dislodged from its usual position in the groove of the femur. Small breeds such as the Boston Terrier, Chihuahua, Pekingese, Pomeranian, and Yorkshire Terrier are the most susceptible to this condition. Although a dog with a luxating patella won’t feel much pain – much of that occurs the moment the patella moves away from its normal position – they display unusual hoppity gait in their hind legs. Luxating patellae is a common occurrence among dogs, but cats can also be afflicted with it, particularly the Domestic Shorthair. Conservative management for this condition isn’t very effective and as such, surgery is almost always the preferred way to correct the issue. In this workshop, you will learn more about this condition, know how to identify animals requiring surgery, and perform the procedure with confidence. A dislocated patella can be caused by blunt trauma, but the chances of that happening is rare. Usually, the condition is caused by a genetic predisposition. A toy-breed dog displaying a hopping-type gait in its hind limbs can be diagnosed through physical examination. Only dogs that are clinical should undergo surgery. Focus & Flourish founder Anne Sylvestre has personally run a successful program involving more than 1,500 patients with luxating patellae. She will be sharing her knowledge and other insights regarding the condition and how best to manage it in this workshop. This Luxating Patellae Veterinary Workshop is part of the goal of Focus & Flourish to provide veterinarians with an avenue to not only learn but also apply the knowledge they gained from our workshops. Every Focus & Flourish workshop aims to help veterinary practitioners learn the technical details of a surgery and simplify that procedure to suit their preference. By focusing not only on theory but also on application, you will walk away from this workshop confident in your capabilities in performing a luxating patellae surgery. 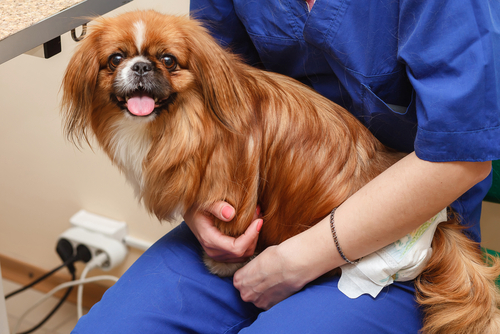 As veterinarians, we owe it to pet owners to accurately diagnose and treat various conditions. The focused and hands-on approach of a Focus & Flourish workshop ensures you can immediately perform a luxating patellae surgery in your practice.